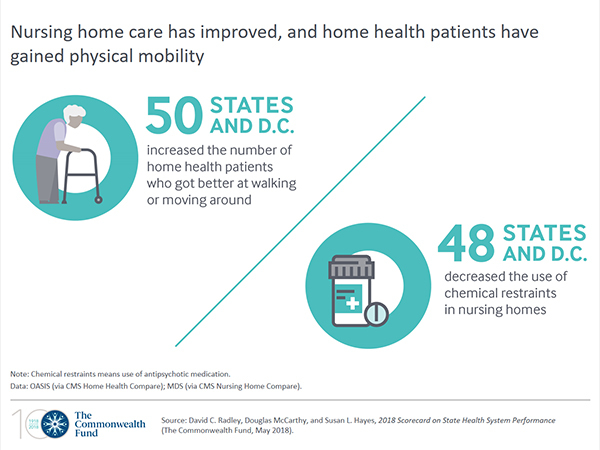 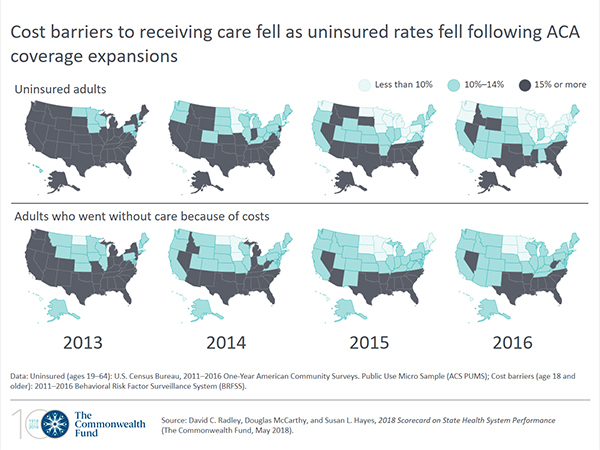 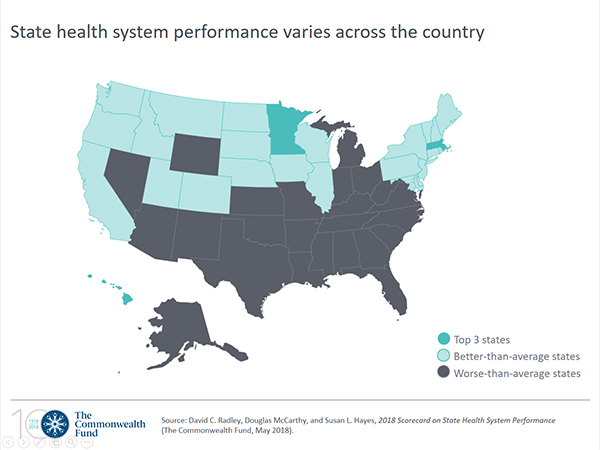 Hawaii, Massachusetts, Minnesota, Vermont, and Utah are the top-ranked states according to the Commonwealth Fund’s 2018 Scorecard on State Health System Performance, which assesses all 50 states and the District of Columbia on more than 40 measures of access to health care, quality of care, efficiency in care delivery, health outcomes, and income-based health care disparities. 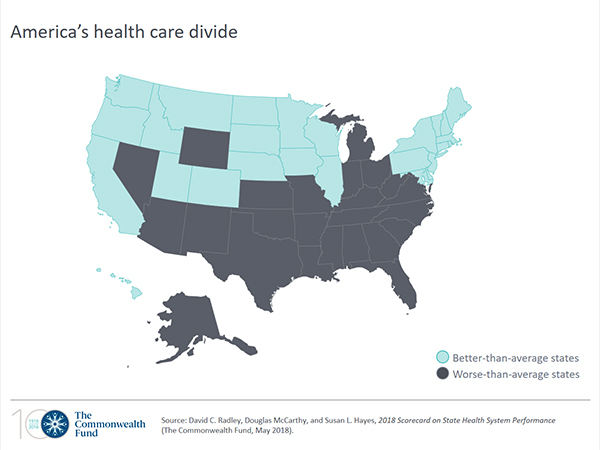 Visit the U.S. Health System Data Center for state maps and profiles. 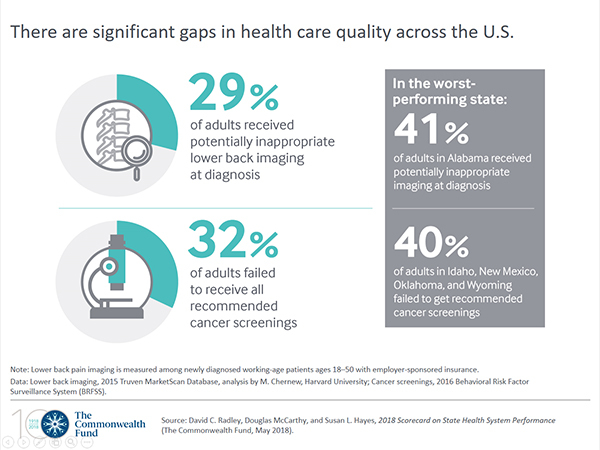 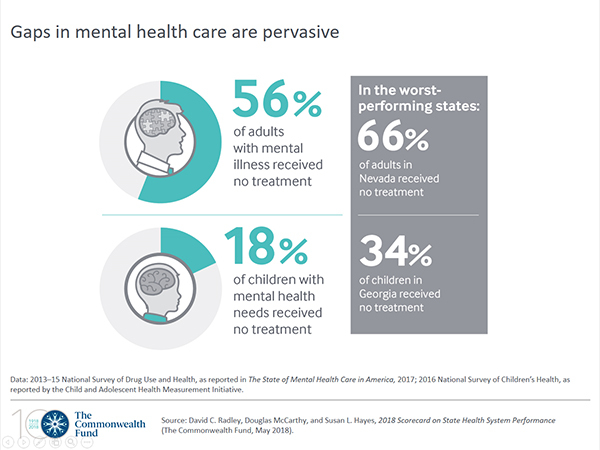 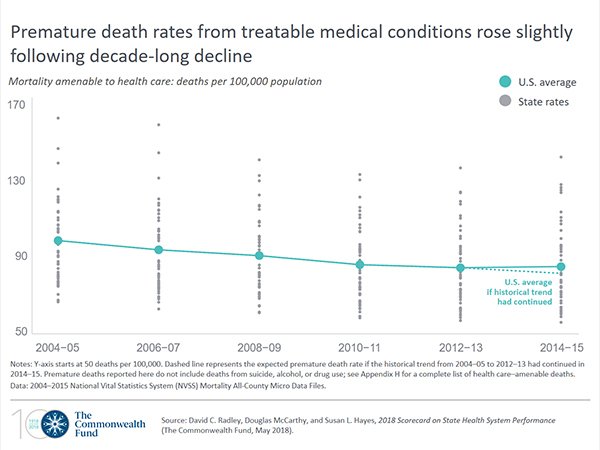 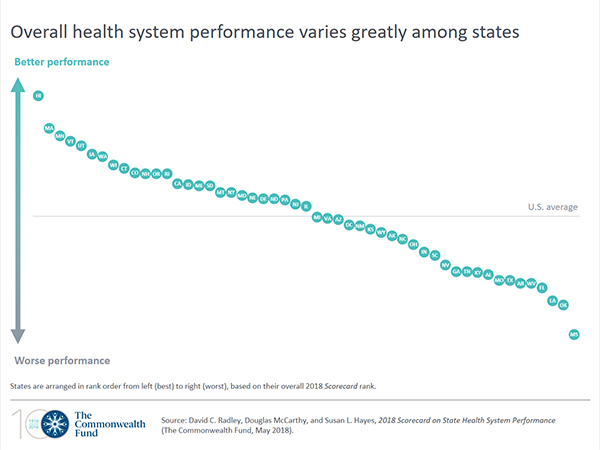 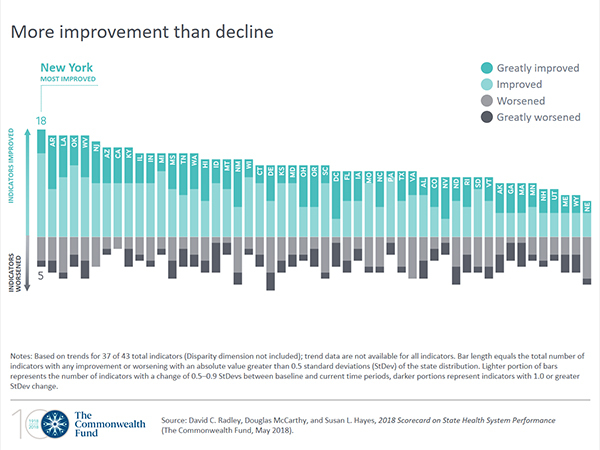 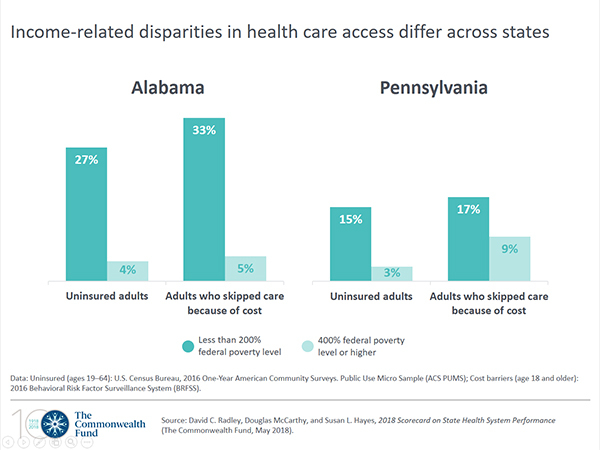 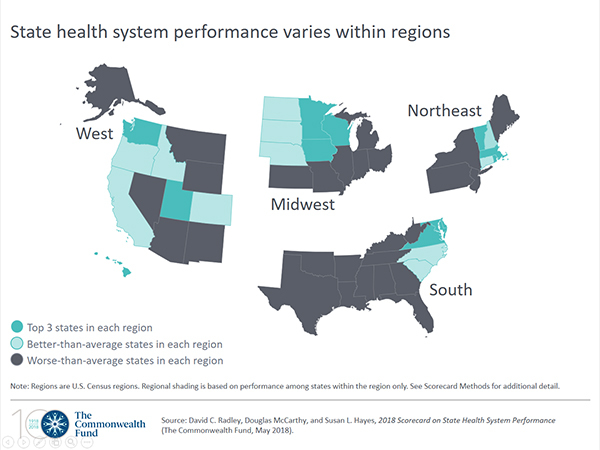 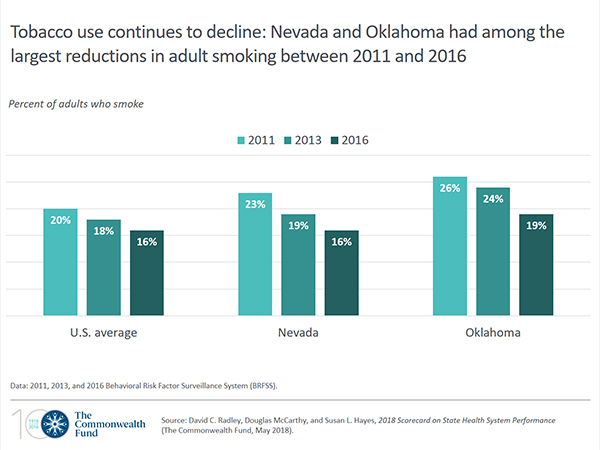 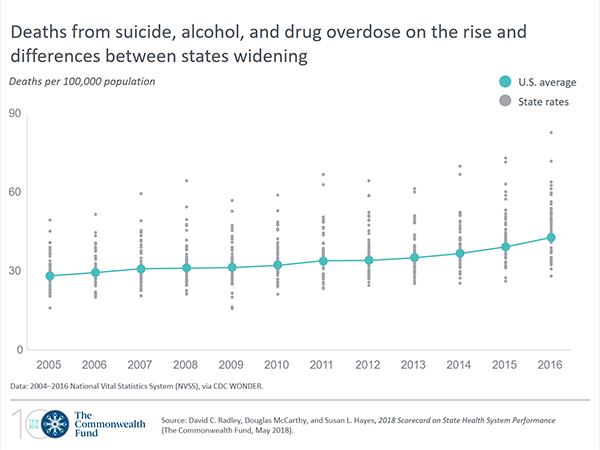 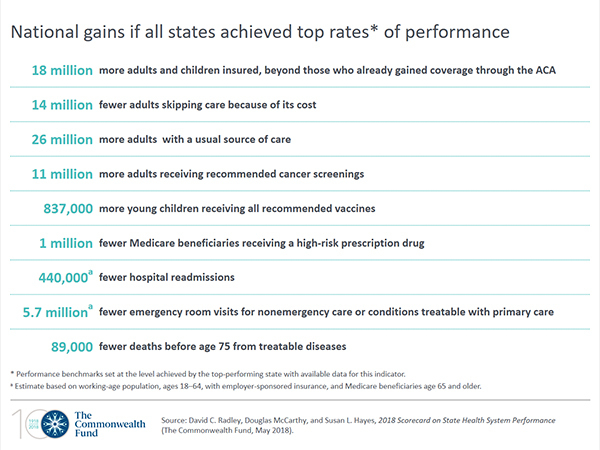 There are significant gaps in health care quality across the U.S.
David C. Radley, Douglas McCarthy, and Susan L. Hayes, 2018 Scorecard on State Health System Performance (Commonwealth Fund, May 2018).